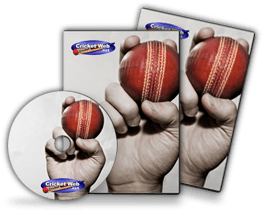 Having recently sat down to review the most recent installment in the Cricket Coach franchise, it’s now time for me to get to grips with a different kettle of fish. The International Cricket Captain games are no stranger to me, for indeed, I spent many hours in the evenings of my school days acquainting myself with ICC 2002, 2005 and III. However, in recent years the series has come under criticism from many reviewers who perceive the most recent editions of the game – since the match engine revamp in 2007 – to amount to little more than a data and statistics update, with no obvious improvement on the game’s functionality. 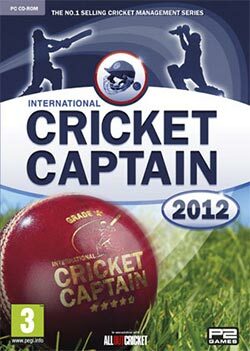 It’s time to see what International Cricket Captain 2012 brings to the table. The most prominent new feature is the addition of both Indian and Australian twenty over competitions, which adds both depth and a feeling authenticity. Not only this, but the database of player records is fully up to date to the start of the current season and is more comprehensive than ever. Though it still lacks the depth of the enormous database of the Cricket Coach series, you can see that efforts have been made by the ICC developers to narrow the gap between the two; the fact that it is now possible to keep full records for retired players, as well as full records of all the runs scored, wickets taken, strike rates, averages, catches and so on from any international series played are particular examples of this. 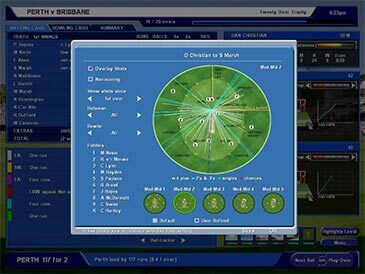 Another welcome addition is the inclusion of new player types, such as batsman that are designated as openers for particular forms of the game (e.g. Ian Bell will be listed as an opener when selecting a team for a 50 over match, but not when selecting a test match or T20 squad). Similarly, bowlers who have impressive economy rates will be valued far more highly at T20 auctions than a player who is perhaps a better bowler but is more likely to be hit around the park every now and again. The AI has been improved, along with the match engine, and this can be seen to make a real difference in your playing experience. Computer captains will now choose to take powerplays in ODIs when a batsman lacking in form comes to the crease, for example, or when a key partnership is broken and they can smell victory. All the above is very positive, and there is no denying that the game is a lot of fun. However, to fans of immense statistical detail, who enjoy pulling up extensive records of a particular player with minimum fuss and designing intricate bowling plans and other tactics down to the closest detail, it is hard to see how the most recent edition of ICC is likely to persuade such folk to take an interest, rather than sticking to other sims which boast these features, such as the Cricket Coach series. Whilst the database of this version of ICC is more detailed than ever, it still falls some way behind the scale and level of detail that is present in those of its competitors. As such, it may be that this is a title that would be better suited to a casual fan rather than someone who enjoys agonizing over small details. However, what ICC 2012 lacks in depth, it arguably more than makes up for in terms of its atmosphere and sense of enjoyment. For me, the true test of any computer game is whether it can create an atmosphere that absorbs you and really makes you feel a part of the experience. ICC 2012 does not disappoint in this regard. Unlike when playing other titles, I felt myself feeling the pressure in an intense game, feeling the crunch as my last senior batsman was trapped lbw with 80 left to chase and an uncapped 20 year old coming in next, hoping – rather than expecting – that my tired senior bowler could find it in him to get an extra wicket or be resigned to facing an excruciating defeat. Put simply, Cricket Captain 2012 has an atmosphere, a personality, whatever you want to call it, that makes you care and want to be involved. It makes you feel like you are involved in making decisions in a miniature cricketing world, and never like you’re adjusting figures in a database. It provides a sense of fun and enjoyment that other titles with more depth or greater scale titles never seem to be able to match up to. 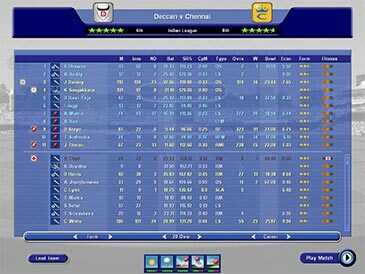 All of the additions and new features add up to make a gameplay experience which is both enjoyable and challenging, and despite the fact that Cricket Captain 2012 is not a huge advance or improvement on previous editions, it should still offer enough depth and variety to keep even seasoned players of the series interested. One feels, however, that if the fans of the series are to be kept interested for much longer, an update similar to that seen between ICC 2005 and ICC III will be needed in the near future.